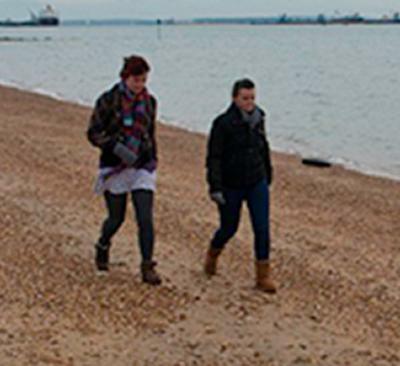 The University of Southampton is holding a free one day festival exploring connections and research relating to the sea. 'The Sea and Me' brings together academics, cultural groups and members of the public for workshops, talks and hands-on activities. The event is part of a national festival of humanities called Being Human, led by the School of Advanced Study at the University of London – in partnership with the Arts and Humanities Research Council and the British Academy. Throughout November, 150 free events are being held nationwide with the aim of raising the profile of the humanities and how they can enrich our lives. The Southampton event opens its doors at the University’s Avenue Campus on Saturday 22 November at 9.30am until 5pm. Topics include: philosophers and the sea; living with environmental change; bubbles, sound and the sea; shipwrecks of the Solent and Britain and the sea in the age of sail. The festival’s keynote speech will be given by author and University of Southampton professor, Philip Hoare – who sets out to rediscover a personal relationship with the sea, its islands, birds and beasts and the way we see them. There will also be a number of things for children to take part in (12-3pm only), such as: hands-on activities with the Maritime Archaeology Trust, story-telling with the Nuffield Theatre and paper folding and calligraphy with the Confucius Institute. Refreshments will be available in the campus cafe.